Was there a more defining look in the 1920s than bob hair styles? Probably not. Most people, when they think of the 1920s they think of short bobbed hair. It's been said that "hair follows fashion" and throughout history this fact has remained true. As the "Roaring Twenties" progressed hair styles shifted from wild and exotic to the more typical short and straight look of the bob. 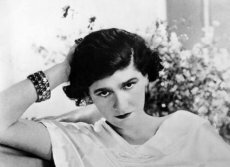 Coco Chanel was definitely a spokeswoman and influential in getting bobbed hair rolling. She cut her hair like this in 1917, long before the look became popular. Because of the fashions of the 1920s relied heavily on hats to bring the whole look together women started wearing their long hair in tight chignons (sheen-yon) to hold it close to their scalp. 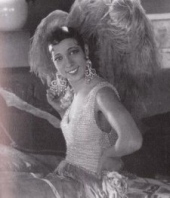 Wearing their hair in a short cut allowed for women to dance freely. And as a natural progression bobbed hair came into vogue. By 1924, the hairstyle was in full bloom. Famous hairstylists like "Antoine" had refined the cut and his celebrity clients like Greta Garbo and Josephine Baker. 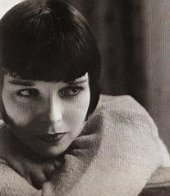 Louise Brooks "The Dutch Boy"
Louise Brooks, the poster-child of bob hair styles, wore her hair in a "Dutch Boy" cut. Famous for it's straight bangs and angular jawline-sweeping sides. Brooks' hair framed her beautiful face perfectly, and helped turn her into a superstar. By 1927 the bobbed hair of the early '20s were still in fashion, but the style was softening into the "fingerwave" styles that would define the more "feminine" 1930s.